Are We Paying Enough for Air Travel? Before you fly into a rage over the fees, cuts in service and perks, and all-around poor experience most of us associate with modern air travel, consider Hobica’s logic, which I think is pretty difficult to argue. “While the cost of most everything else we buy, in inflation-adjusted dollars, has gone up,” Hobica writes,” the price of air travel has gone down over the last several decades. And that, right there, is the crux of the problem. Outside of some business travel, air travel is more or less a luxury we’ll forego when money is tight or, as Hobica notes, when it’s too expensive. But air travel is also a luxury we have come to rely on, one that, arguably, we can’t do without. We take for granted that we can hop on a plane and visit our friends or family halfway across the country, and more recently, that we can do it on the cheap. But Hobica suggests that is simply an unrealistic way of looking at things. “Eventually, and who knows when,” he writes, “the party has to end. 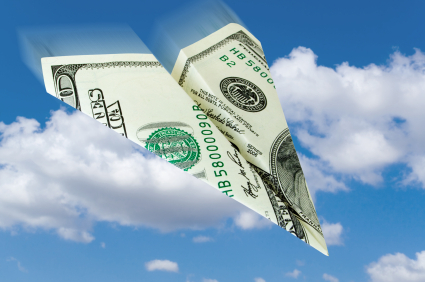 Fares need to go up, or we’ll see more airline mergers and Chapter 7 filings. And then fares really will go up.” But in the meantime, we have fees, fees, and more fees, which the airlines slap onto our tickets after luring us in with low prices. So, is he right? Should we put away the tissue box and pay a little more for our airfare? I’ll put my money where my mouth is and say: Yes. I agree with George, and I think we should pay a little more and get a little more (or a little less, when it comes to fees). I already target airlines that give me more for my money, but in general I would happily pay up for a better product and experience (emphasis on the “better product” part of that sentence). But enough about me. Tell me what you think in the comments section below.